The PixoPoint Theme Integrator plugin is now available in beta form. This new version has some major changes from the original alpha release. For more information and download links, please visit the PixoPoint Theme Integrator page. 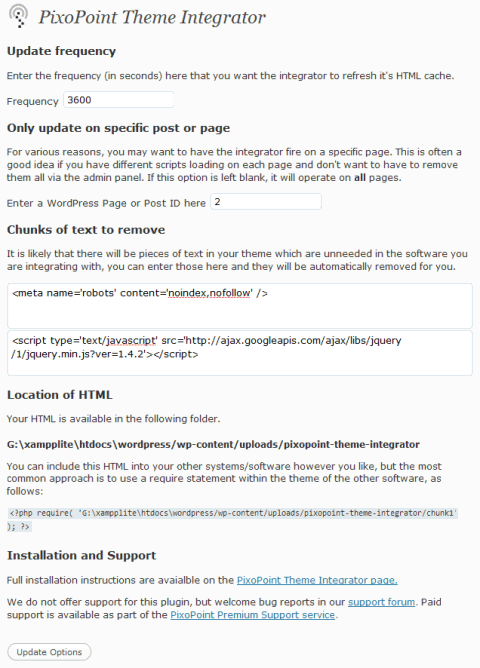 The initial alpha versions of the plugin required manual editing of a configuration file within the plugin whereas this new one can be controlled directly from the WordPress admin page. If there are any strings within parts of the code you have integrated with your other software which are not required, you may now remove them via the admin panel. This is useful for small snippets of unneeded code such as page specific meta tags. For various reasons, you may want to have the integrator fire on a specific page. This is often a good idea if you are unable to remove all the unnecessary code snippets via the admin page. If this option is left blank, it will operate on all pages. 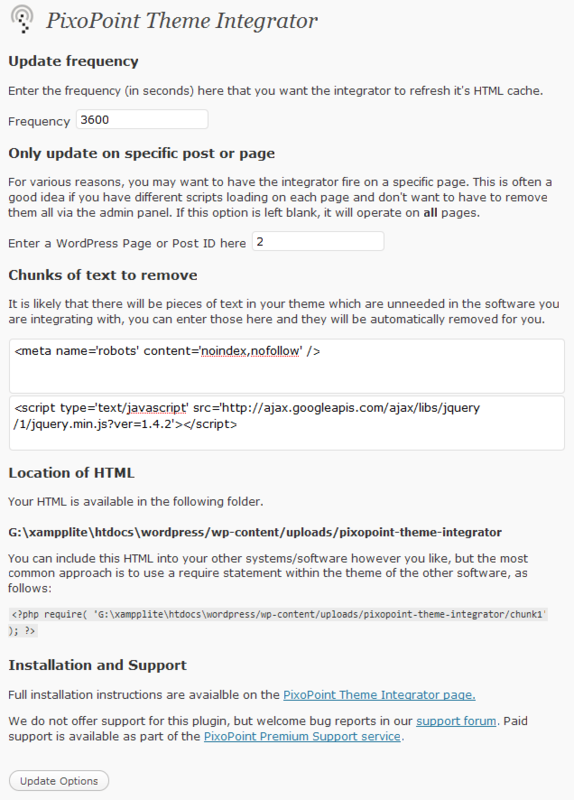 The admin page is now able to give you the exact PHP code necessary to load your code chunks into your other software. The previous version required new HTML to be added to your theme, however this new version allows you to simply load the necessary code via functions (template tags) added to your theme.